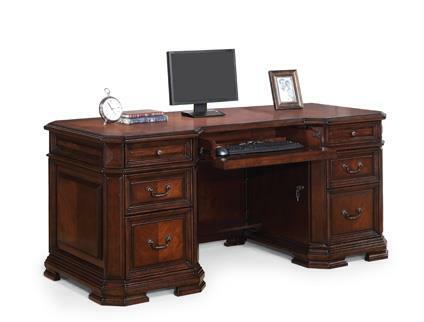 The Westchester Executive Desk by Flexsteel Wynwood Collection at Great American Home Store in the Memphis, TN, Southaven, MS area. Product availability may vary. Contact us for the most current availability on this product. Case Construction All cases have corner block construction for added stability. Backs of cases are screwed on as opposed to stapled for structural strength.